Does calling a restaurant to order food make you sick to your stomach? Do you have a fear of jobs whose expectations include answering phones? There is a good chance that you may have some form of social anxiety in relation to phone call phobias. Talk to yourself before you talk to someone else. It is okay to have exactly what you want to say right in front of you. This can alleviate your social anxiety. If you are doing a phone interview or at work, write a cheat sheet with common phone numbers, email addresses, resume details and facts that will come up frequently. Remind yourself that you do not need to rush. Take your time! Voicemail is an option for a reason. If you are feeling exceptionally worried, take a moment and let it go to voicemail. You can always call back when you are ready. If you or someone you know suffers from social anxiety speak with one of our licensed professional psychologists, psychiatrists, psychiatric nurse practitioners, and psychotherapists. Contact us at our Paramus, NJ or Manhattan, NY offices at (201) 368-3700 or (212) 722-1920 respectively to set up an appointment. For more information, visit http://www.counselingpsychotherapynjny.com/. School Phobia is now referred to Separation Anxiety. It can also be known as school refusal or school avoidance because it makes going to school very difficult for children. Separation Anxiety Disorder is when someone has excessive fear or anxiety about leaving their home or an attachment figure. In children, their attachment figure is usually their parents because they see them as a figure of protection and do not want to leave their side. Humans require an attachment to parental figures because they provide love, protection, and care to us. Children attach their deepest fears to their parents because they believe they can make any fear go away. Children who have separation anxiety have a difficult time sleeping alone, going to school, avoiding play dates, and do anything to stay at home with their parents. They also experience symptoms of dizziness, upset stomach, nausea, vomiting, headaches, and have difficulty sleeping. These symptoms can lead to children not wanting to leave their house even more because the thought of a parent leaving can give symptoms of panic and anxious thoughts. Separation Anxiety Disorder is more common in children who suffer from parents separating or going through a divorce. Any detachment from a parent is experienced as a life threatening danger to the child. They fear they no longer will be protected and will be left alone by their parents. These feelings of anxiety are relieved when they are safe in the presence of their parents to reassure them that they are not going anywhere. 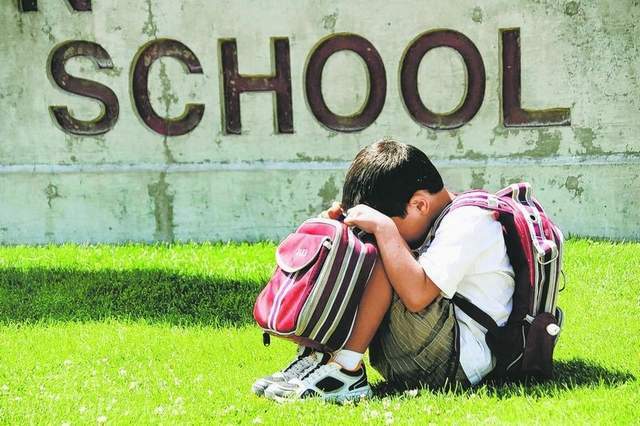 In order for children to overcome their separation anxiety and their fear to attend school it is important to seek help as early as they can. The best method in treating Separation Anxiety Disorder is by Cognitive Behavioral Therapy (CBT); it helps parents and children learn new coping skills when they are separated from each other. It is also important to make your child feel safe and protected in the environment they are living in and develop trust in their parents that they are not going to leave them.